NEWMARKET, Ont. - The Ontario SPCA says it's looking into allegations that a tiger was whipped repeatedly by its trainer at a zoo east of Toronto. The SPCA says it sent officers specializing in exotic animals to the Bowmanville Zoo where they examined the tigers, and no animals were removed. 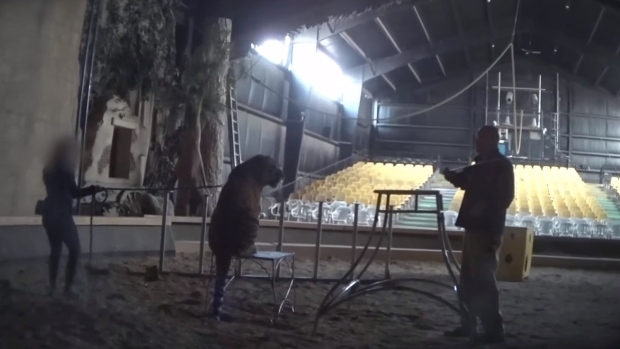 It says the investigation began when it received a video from an animal rights group that appeared to show a tiger being whipped. The SPCA says it will interview everyone involved in the situation and will continue to monitor the care of the animals involved in the investigation. The agency says it will make sure that the animals get the care they require while the investigation is ongoing.